Meet Me in San Diego!! 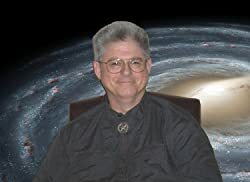 By invitation of the convention organizers, I will be attending and “participating in programming” at the West Coast Science Fiction and Fantasy Convention to be held at the Town and Country Resort and Convention Center in San Diego, California, July 2-5, 2015. The organizers are still developing the convention programming and figuring out which participant goes in what slot, so I can’t yet give you a schedule of events in which I will be involved. To many writers, convention invitations are no big deal, but this is my first and it is a HUGE deal for me. It doesn’t hurt that my third book will have been released on June 30, so I will have a brand new, fresh book to promote. In fact, I’ve never been to any Science Fiction convention, ever. So, this is going to be a totally new experience for me. I’m looking forward to it. I would love to meet as many of my readers as I can when I am there, so please try to attend if possible. UPDATE #2: As of 07:30 Zulu Hours, 30 May 2015, the Westercon68 website appears to be down. So, if you get a “page not found” error, it’s not my fault. Really. I can prove it. Don’t blame me!!!! UPDATE #4: As of 17:13 Zulu Hours, 1 June 2015, my name is now listed among the program participants for this Conference (technically it’s a “Conference” and not a “Convention”). Because they spelled my last name right on the first attempt, I’m not even slightly perturbed by the listing omitting the “H.” in “H. Paul Honsinger.” I’ve always been “Paul” to my friends and most other folks, so I can get by without the “H.” that I use for formal purposes.